Fall 2k18 is sneaking up on us. The leaves have already started to change from green to red, the fog rolls in quicker every night and the mornings are already starting to look bleak and gray more days than not. This can only mean one thing: time to whip out that camera and spam your #photography Insta! The Clog totally understands your photographic desires, so we’ve suggested a few innovative angles for taking classy fall photos of one of the most beautiful college campuses. It’s 307 feet of a photographer’s pure dreams. Try scaling it freehand to get all the way to the top, because let’s be real — where the bells are isn’t high enough. Then hang off the edge like King Kong and take a 360-degree panorama of all the fall leaves of UC Berkeley! Choose a major campus road, lie down and aim away! You’ll get some bombass pics of leaves falling above your camera and glimpses of the annoyed faces of people as they walk by, truly encapsulating the autumn mood. We suggest a busy path with many students and cars because they always make for the best shots. At the top of a four-foot step stool is one of the prime places to grab that snap of a lone, withered brown leaf somewhere outside of Dwinelle (which someone probably tracked out of Ishi Court on the bottom of their shoe). Your followers will eat it up! 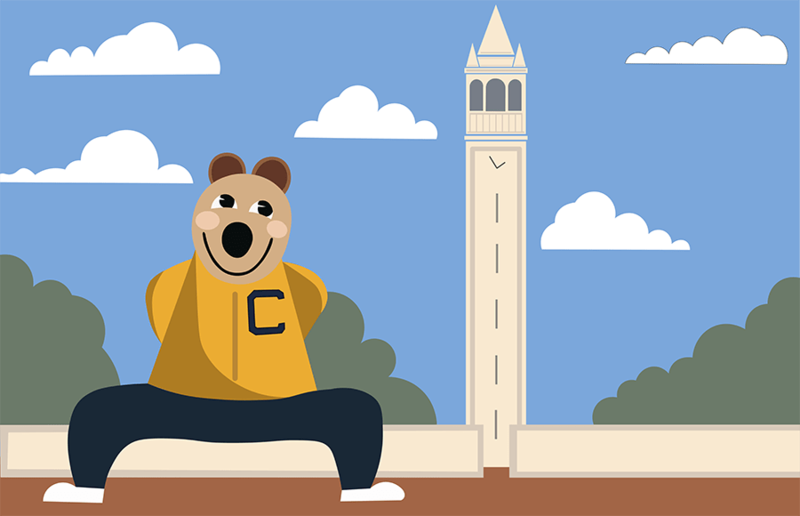 Channel your inner sumo wrestler and drop it low to get that iconic full view of the Campanile, Doe Library or one of the other aesthetically pleasing buildings on campus. Feel free to wear your full-on sumo wrestler garb as well! It will make you feel more legit. They’re already that high up on the hill anyway and there’s really no point in you going all the way up there when they’re already there. Just DM them to take a pic of the campus from all the way up at Foothill and send it to you and then post it to your own Insta without giving them any credit! Too short to get the perfect photo of that red, tree-lined road? Simply find someone who is the adequate height for the view you desire and politely ask to climb on their shoulders because you just have to get the perfect shot for your amateur photography-themed Instagram. They’ll usually say yes because for them it’s like donating to charity. Basically, this means take a pic while frantically running up a tree. You get up close and personal with the ultimate autumn view and can do one of those fancy shots where you snap a shot of something in between the leaves. Try hanging upside down and maybe falling off a few times. Bonus points for aesthetically blurred shots. Whichever pose you feel brings out your inner successful Instagram photographer, we guarantee that they’ll all make for very unique photos. Be sure to write an inspiring caption about something totally irrelevant to fall and cite us as your inspiration!